The Struts combine the pomp and glamour of Queen at their most outrageous with the indie sensibilities of Sultans Of Ping. The indie snob in us should hate it and on any basis it should be a shambolic mess. But it's not, it's a thirty-five minute glam-rock stomp that's massive amounts of fun. Intrigued by their acoustic performance at HMV earlier in the week and recommendations from very different groups of friends, we had to check out The Struts album. It's with a sense of trepidation that we press play, but there was no need to worry. 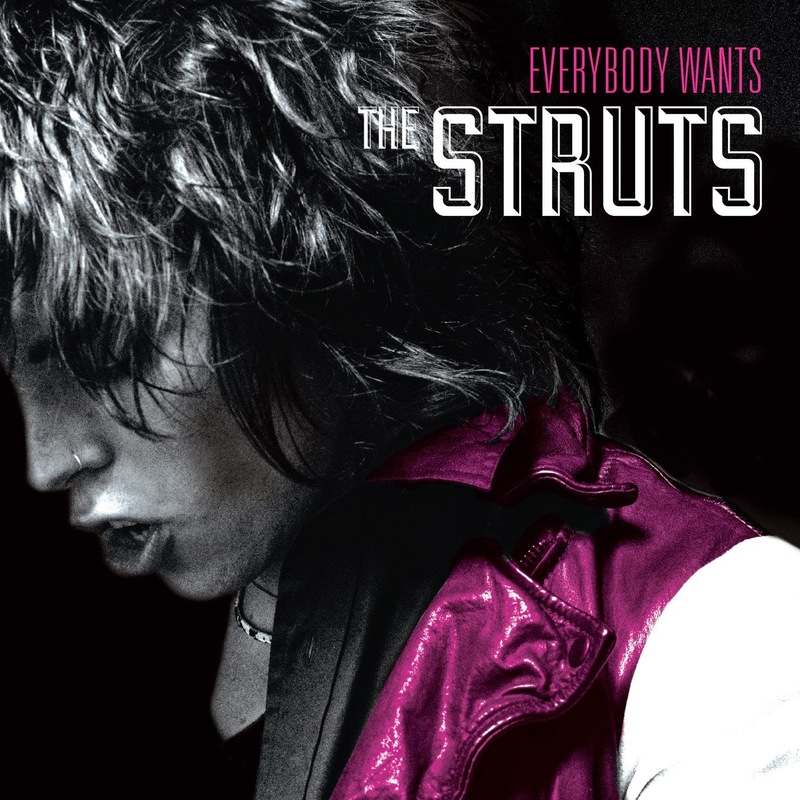 The great thing with The Struts is the lack of pretension. They're here to give you a good time, they wear their influences on their sleeves and there's no attempt to try and be cool. Yet in a roundabout way this all works in their favour, because, whilst they'll never get anyone introspectively analysing them, you can guarantee people everywhere, irrespective of age or musical persuasion, will be tapping their feet and singing along, even some of those who will deny it and decry them. The focus of the band is obviously front man Luke Spiller. He wants to be centre of attention and you can close your eyes listening to this and imagine him charging around the stage, striking poses and engaging with the audience. But there's more to The Struts than this. All great artists need canvas to work on and the band provide him with eleven thunderous tracks that hardly pause for breath as well as providing backing vocals that actually augment the songs considerably. There's more than enough variety on songs that it never gets boring and gives Spiller the space over which to work his magic. The lyrics almost take a back seat to what's going on, but Spiller's clever enough to come up with winning choruses on the album's big songs such as Put Your Money On Me - "I bet your body's so sweet (oh yeah), so roll your dice at my feet (oh yeah), we're winning when our eyes meet (oh yeah) you got the hand I can't beat (oh yeah) so put your money on me" - and Could Have Been Me - "I wanna taste love and pain, I wanna feel pride and shame, don't wanna take my time, don't wanna waste one line, I wanna live better days, never look back and say it could have been me". But this is a band about much more than words and you forgive them lines such as "I'm so happy you are mine, going to buff you all the time" on My Machine because you're too busy enjoying the whole thing. The Struts walk a fine line between genius and throwaway at times, but come down on the right side every time with this record. They're actually far more accomplished than you'd imagine. Put your indie prejudices back in the bottom drawer and get your dancing boots on. Everybody Wants is out now and they're out on tour in October.